What the heck is a SCCY CPX-2 and who is “they” who sent it to you. Am I the only one not conversant with this jargon? The CPX-2 is manufactured by SCCY Industries. SCCY sent me the pistol for evaluation. I wanted to find a $300 pistol that I could recommend to my clients and audience. I wrote a post previously about my initial impression. With regards to your opinion of three-dot sights, I concur. 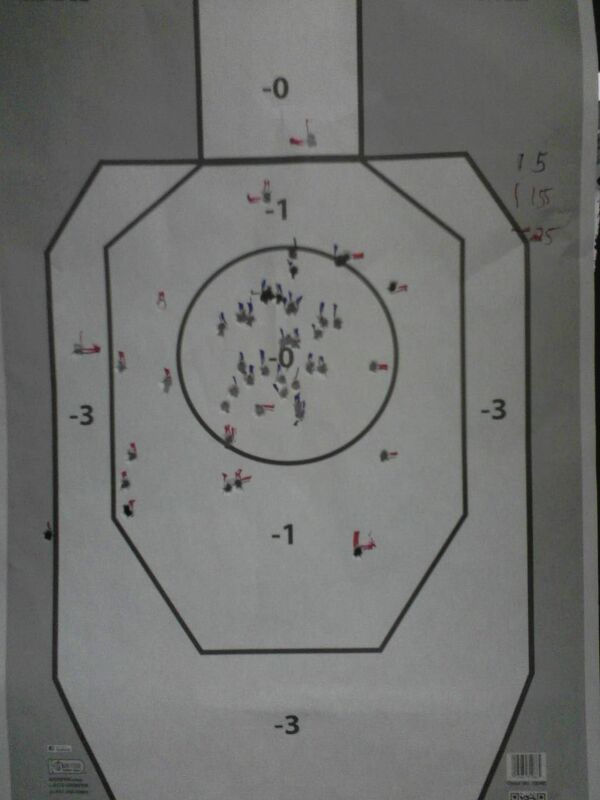 Years ago, at an IDPA match, I was shooting a CZ-75 with TDS and I caught myself, under the “stress” of competition, getting confused and using the left rear dot as the front dot and, of course, missing the target entirely. Since then, if I buy a gun with dots on the rear sight they automatically get blacked out with a permanent marker. I found on the SCCY and the M&P 22 Compact that the dots were made with some kind of smooth epoxy paint. My black magic marker had almost no effect on them. It was necessary to dissolve them with a solvent to get rid of them. A friend told me there’s a marker available now that actually uses paint. That might work better. Sharpie is making them. They are called “Sharpie Paint” and are oil-based. I’ve been using them on my sights and magazines lately. Which type of 3M reflective tape are you using and where did you get it? I believe it’s called Scotchlite. I’ve bought it both at hardware stores and an auto supply place, probably Advance Auto Parts. For price sensitive gun buyers, the SCCY looks promising. The Tactical Professor has a test unit that he’s putting through the paces. Had a chance to shoot a fresh out of the box SCCY for the first time yesterday. You’re absolutely right about the trigger, Claude. The one I shot had a bit of a catch about 1/4 of the way through the squeeze at first but cleared up about 100 rounds or so. I like big guns (and expensive guns) but the number one rule in a gunfight is to have a gun. Glad you were able to update with a breadth of additional info and insight. Thanks for sharing. At what level of light would you say that the reflective tape stops being visible or useable for sighting? 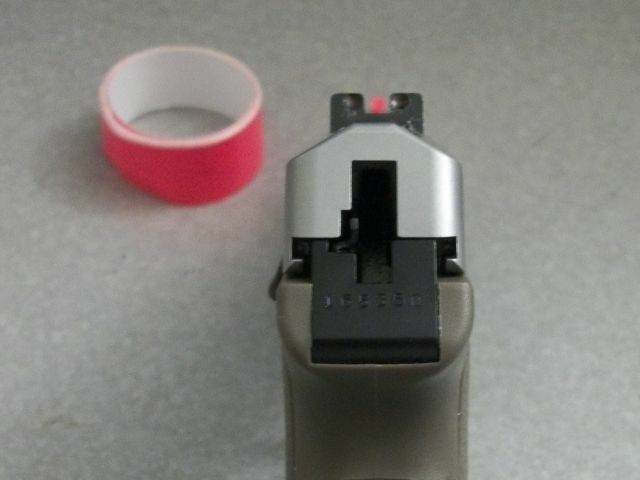 I’d like to experiment with this before trying Trijicon HD sights to see how the idea and similar work for my eyes. It’s still visible in most lighted parking lots at night.